Southwest Airlines is probably the most popular airline in the United States. Free check-in bags, free cancelation, popular destinations, fun crew, the good list can go on and on. So how to get Southwest points and does it worth the efforts? 1. How to get Southwest points? Remember you can only get signing up bonus once for each type of Chase credit card. Another way to get Southwest points is to utilize transfer partners (can transfer their points to Southwest). Here is the list (ranked by transfer value). SPG points via United Airlines and Marriott Hotels. Oh... almost missed the last one: flying Southwest Airlines while using your southwest credit card. 2. 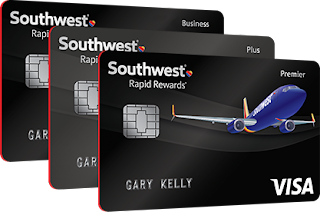 So what is the value of Southwest points? Since you've get a general idea about Southwest points, we will move onto the Southwest Companion Pass on part II.